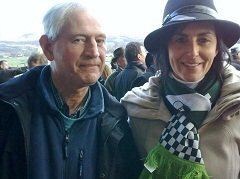 My name's Chris Wigg, your guide to a successful and enjoyable day at the races. What can be more stimulating and exciting than watching a field of power packed elite racehorses as they thunder past you track side in a pulsating finish. I have contacts in many areas of the sports and horse betting industry and can call on the knowledge and expertise of many professionals. I draw on years of experience in the game to bring you the best in UK horse racing tips, putting up to the minute information at your fingertips and providing top value horse racing tips. Research UK Racecourses for everything you could possibly want to know from how to get there to local accommodation; even what the loos are like! Learn how to use the strategy known as arbitrage to land risk free bets on a daily basis. Discover the UK best betting sites, complete with detailed reviews of each operator, and exclusive bonuses and promotions for new players. Discover the trends and analysis to find winners at the major UK racing festivals in turf and National Hunt racing. When addressing racing festivals worldwide, do not forget about Australia. This horse-crazed nation takes its racing as serious as the next one, and The Melbourne Cup is their most prestigious horse race. Held annually, every November, The Melbourne Cup is a 3200-meter race held in the Victoria Racing Club on the Flemington Racecourse. Be sure to check out the recommended betting sites for Melbourne Cup 2018, to get in on the action. Learn how to use the betting exchanges with my popular resource tutorials. Up to date information on top UK trainers and their horses. Thrill lovers of racing and horse racing in particular are more likely to be the gambler type of person. If you are like that check out these new online casinos. Discover the exciting world of online games such as poker and roulette but first check out online casino reviews. Browse my vast online library of sports books and art. The Grand National 2014 is the ultimate test in strength and endurance. Use the trends to track down the winner of the world's favourite horse race and check out the Grand National Betting. After placing some racing bets you may want to try your luck at an online casino. Go to this web page for reviews of good sites to play at, together with casino news and playing tips articles. Read reviews and results of some of the best sports tipsters operating in the UK.